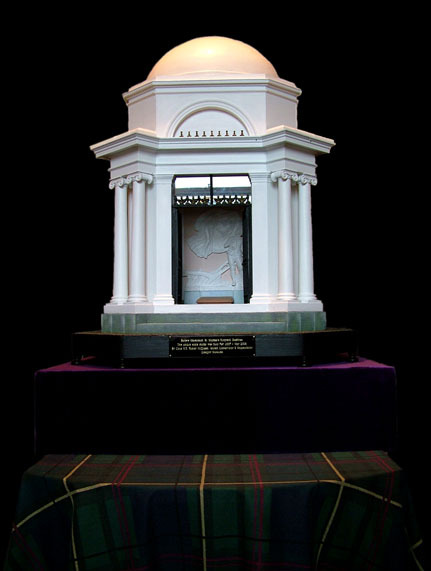 In 2009, the year of Homecoming and the 250th anniversary of the birth of Scotland’s National Bard, Robert Burns, an exhibition in his honour toured the country beginning on the 17th of January at the Camera Obscura Museum in Dumfries. It went on from there to Irvine, Greenock, Stirling, Haddington, Kilmarnock and ended the year in the Aberdeen City Library. 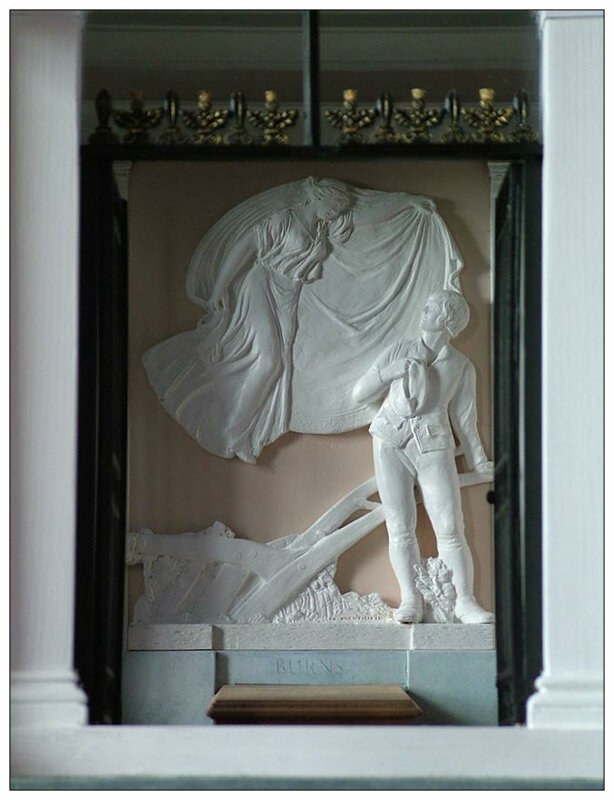 The focal point of the exhibition was the first ever scale model of the Burns Mausoleum in St Michael’s Kirkyard in Dumfries. The Model was built by Glasgow artist and retired Senior Conservation Officer of the Glasgow Museums – Colin Hunter McQueen. Colin was the man who built the stunning models of the ‘QE II’ and the ‘Royal Yacht Britannia’, both housed in the Museum of Transport in Glasgow. The exhibition opening days were combined with the launch of the highly acclaimed A4 322 page book to celebrate the 250th anniversary of the Poet birth, entitled “Hunters’ Illustrated History of the Family, Friends and Contemporaries of Robert Burns”. The book was conceived, designed and illustrated (with over six hundred drawings) by Colin Hunter McQueen and written, compiled and researched by his son Douglas McQueen Hunter. 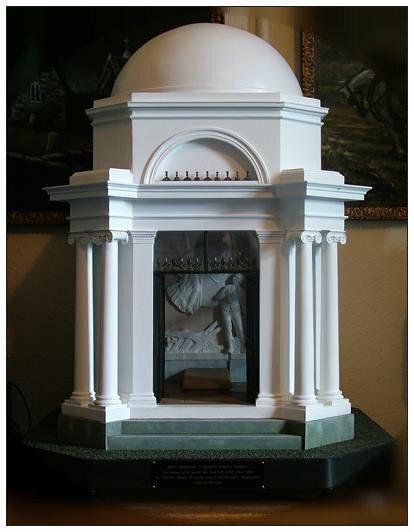 As an ardent Burns lover and professional Glasgow Museum’s Ship Modeller for many years, Colin harboured a desire to build a large detailed scale model of Burns’s Mausoleum, Dumfries, since one had never been built before. 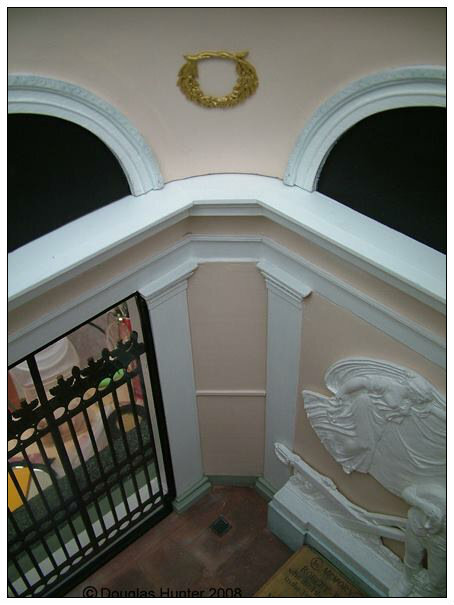 Colin knew that the Camera Obscura Museum in Dumfries had in its possession the architect, Thomas F. Hunt’s original plans for the edifice. 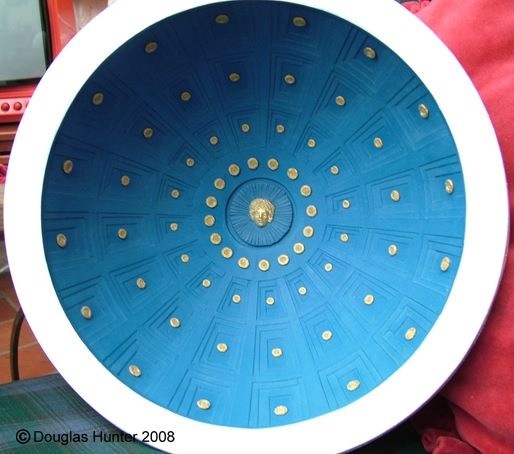 Around 2007 he sought permission from his friend, the curator, Mr. David Lockwood to view the plans in order to build the model. 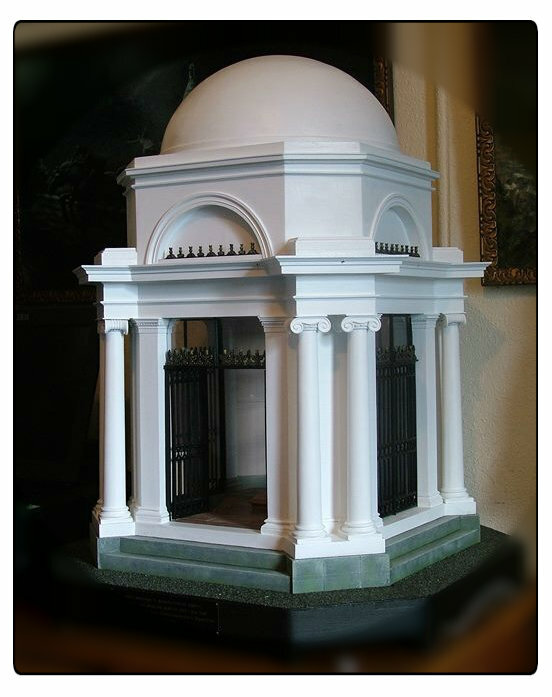 No other scale model of Burns’s Mausoleum exists or indeed ever did. Unfortunately the only plan that survived in Hunt’s folder was the foundations plan. 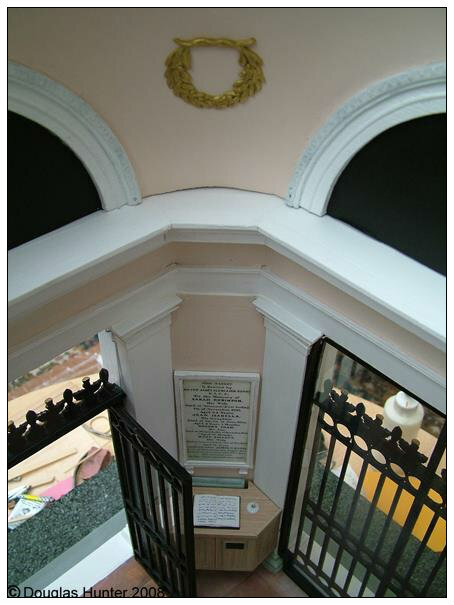 Never daunted, Colin knew that the Mausoleum would have to be measured accurately inside and out. He got in contact with another Dumfries friend and fellow Burnsian, Mr. Wilson Ogilvie, who kindly agreed to accompany him, and his son Douglas, on their many visits to draw, measure and photograph details of the building for the future scale model. The model is mainly constructed of wood with the exception of the sculpted relief and internal ornamentation in the domed roof, surrounding details and the external leaves with thistles that decorate the arches and gates. The model’s scale is 1 inch = 1 foot and is built as the original structure stands today. This is with the Herman Cawthra Statuary which partly replaced the original Turnerelli Statuary in 1936. Internally and externally the model is exact in every detail.